Is there something like the Windows Snipping Tool for OSX? For those, who don't know about the tool, it's an easy to use software to take snapshot of any portion of screen, and is really useful in various situations. There is now a blog entry about Taking Screenshots in a Snap. It's built into Mac OS. Screenshots are saved onto your Desktop and timestamped. Holding control in addition to any of the sequences above causes the image to be copied instead of saved to the desktop. Where image_format is one of jpg, tiff, pdf, png, bmp or pict (among others). If you omit the second line, you will need to log out and in again for the change to take effect. If you don't want to remember the shortcut keys, you can also use the built-in Preview app. It will then display the screenshot in Preview, and you can save, copy, paste, crop, etc. from there. Macworld magazine's senior editor Dan Frakes just posted a very good short video tutorial (with show transcript) about the screenshot features of Mac OS X. This includes how to use the Grab app from the Utilities folder. The video is at: http://www.macworld.com/article/164123/2011/12/mac_os_x_screenshot_secrets.html. His show description: "Mac OS X makes it easy to take screenshots—images of your screen or objects on it. But even veteran Mac users are often unaware of the many options available for getting the perfect screenshot. Here's a quick look at these underused options." If you also need editing capabilities (e.g. like Windows Paint or however it's called these days), Skitch is a good add-on (and it's free). 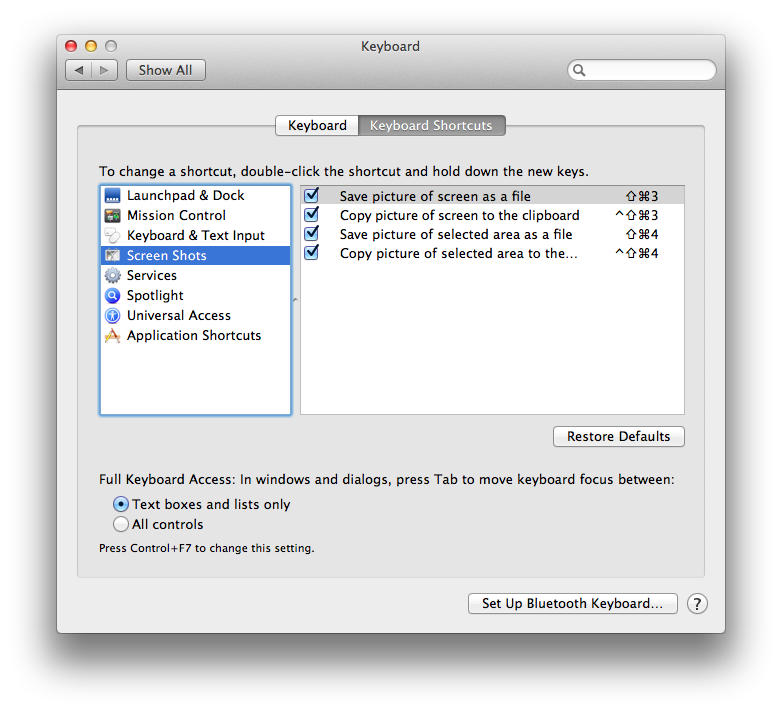 Of course, the most convenient way to snapshot on Mac is by pressing keyboard shortcuts, however, this traditional method lacks additional features like making annotations, uploading images online for sharing, etc. For this purposes, you can make use of professional Mac screenshot tools that features the same function as Snipping Tool. Grab - A built-in screenshot tool on Mac that enables you to capture anything you see on screen. Skitch - Easy tool that allows for capturing, annotating and sharing screenshots / images. Jing - An effective screen capturing program that works for recording screen and taking screenshot. Not the answer you're looking for? Browse other questions tagged macos software-recommendation keyboard screen-capture switching . What's the equivalent of windows explorer? How do I hide Quicktime Player's controls when the video is paused? Potential macbook convert - windows on mac? Is there anything like System Restore for Mac OS X? Is there any stable Adobe Reader for OSX?